There was no vroom vroom when the Superbus, a combination of aerospace and Formula 1 technology, finally hit the roads in the Captial on Monday. The superfast vehicle was at a snail’s pace on Monday as it trudged only up to 40kmph — a far cry from its top speed of 250kmph. 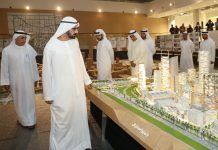 Yet, the black beauty that is hyped to change the highway travel between Dubai and Abu Dhabi in future stole the hearts of the spectators who witnessed its first trial run at Masdar City. 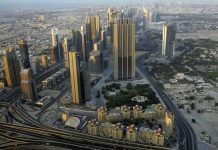 It was a thrilling moment for the spectators and the officials when the vehicle, expected to cut the travel time between Dubai and Abu Dhabi to 30 minutes, was put in motion on the roads at the Masdar Institute. Some felt it was reminiscent of lightning speed cars in animated movies. Recharged for the first time at the solar-powered stations in Masdar City, the prototype of the soundless Superbus was stylishly driven around by a female member of the Superbus team as the members of the media and others followed it during the first-ever test run in the UAE. 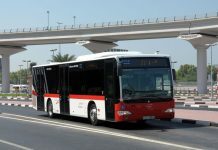 However, anxious commuters waiting to make use of the luxury service will have to wait more to know about the official launch of the Superbus on Abu Dhabi-Dubai roads as the officials concerned did not reveal it. 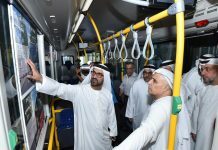 They said the eco-friendly prototype bus, which is electrically powered with a 1,000-1,200kg rechargeable battery pack, was recharged overnight on Sunday after it was welcomed at Masdar City, one of the world’s most sustainable developments. At 15 metres in length and 2.5 metres in width, the six-wheel, 12-door and lightweight structure, with a low drag shape that is stable and controllable at high speed, has similar dimensions to a conventional bus. But due to the seating arrangement without a centre aisle, the height is just 1.7 metres, explained chief vehicle designer Antonia Terzi who drove the bus around Masdar City. The vehicle has a seating capacity of 23 people including the driver. 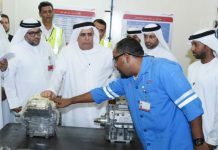 Alan Frost, Director of Masdar City, and Huib de Bliek, Counsellor and Deputy Head of Mission of The Netherlands who observed smooth motion of Superbus, were also present on the occasion. Fully powered by electricity and constructed with light carbon fibre materials to make it more energy efficient, the Superbus integrates the speed and service of a fast train with the flexibility, affordability and comfort of a road vehicle. 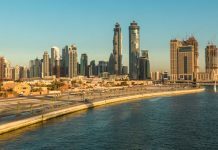 Frost said Masdar City already has the expertise in clean transportation technologies with an electric automobile pilot project going on, as well as the automated, battery-powered Personal Rapid Transit (PRT) system. 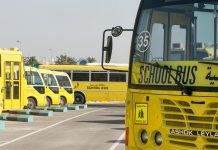 “While there are no talks between Masdar City and the developers of Superbus regarding its applicability as a transportation solution for the city, we share a common commitment to developing and a passion for testing revolutionary and commercially viable solutions to address the clean transportation challenges of today and tomorrow,” Frost clarified. 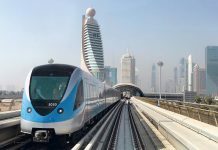 In the future, Abu Dhabi’s metro and light rail networks will pass through Masdar City and provide transport within the city and link it to the rest of the metropolis, Frost said. The brainchild of a design team at TU Delft University in the Netherlands, the project started in 2004 with the first road test done in September last year. 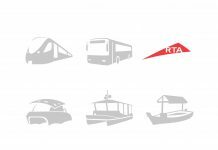 Ahmed Mohammed Baghoum, director, City Zone, Masdar City, said that this is an efficient public transport concept which is propelled by clean energy. Modalities are under discussion, when finalised, will be revealed. Next articleDubai Taxi starts selling water in taxicabs, in coop with Al Ain Mineral Water Co.